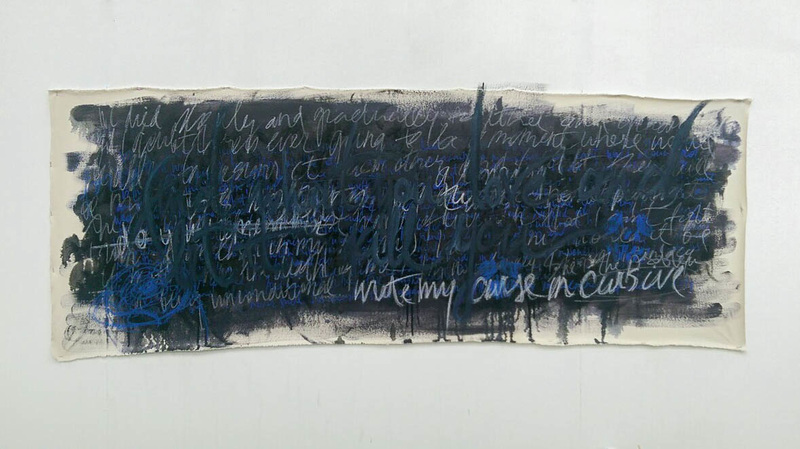 Rebeka Tarane is a Level 5 student on BA (Hons) Fine Art at Arts University Bournemouth. I have been exploring the inner workings of my mind through abstract expressionism, while being heavily inspired by mid 20th century American culture, art and literature, trying to visualise and organize the web of constant information flowing through the mind. 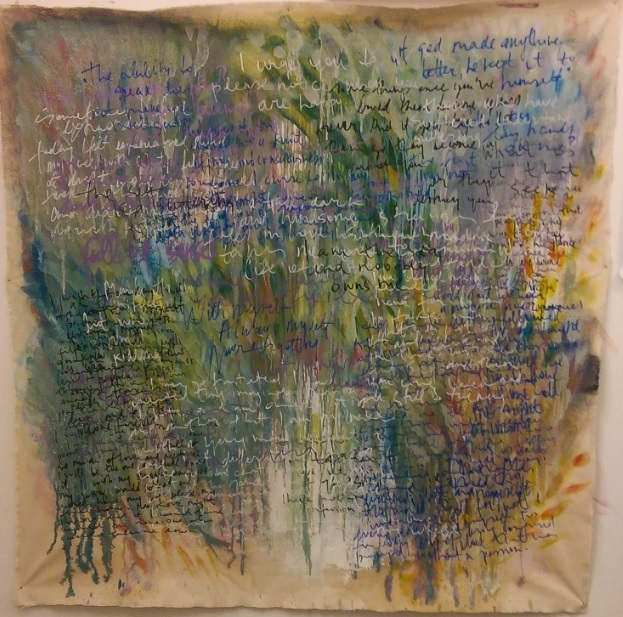 The main source of these works comes from pursuing “stream of consciousness” type of writing which has formed into a habit, sometimes obsessive hoarding of quotes, lyrics and random texts. 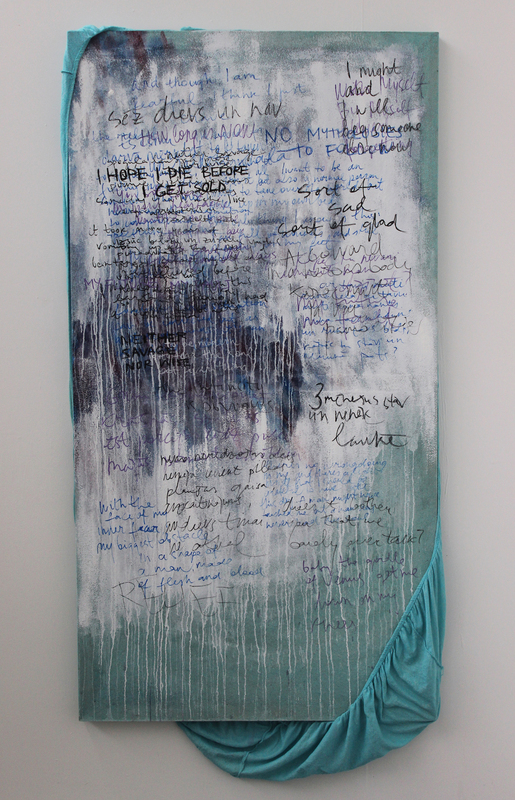 Later these writings are taken to be portrayed through gesture and colour, incorporating the text within the piece. The pieces are intimate diary entries transformed into something that can be viewed by audience and interpreted by a viewer as an individual. Have a look at Rebeka’s website (cargocollective.com/rebekatarane) and check out her Instagram (instagram.com/rebekatarane). Why Am I Here? // BUMF Reviews.